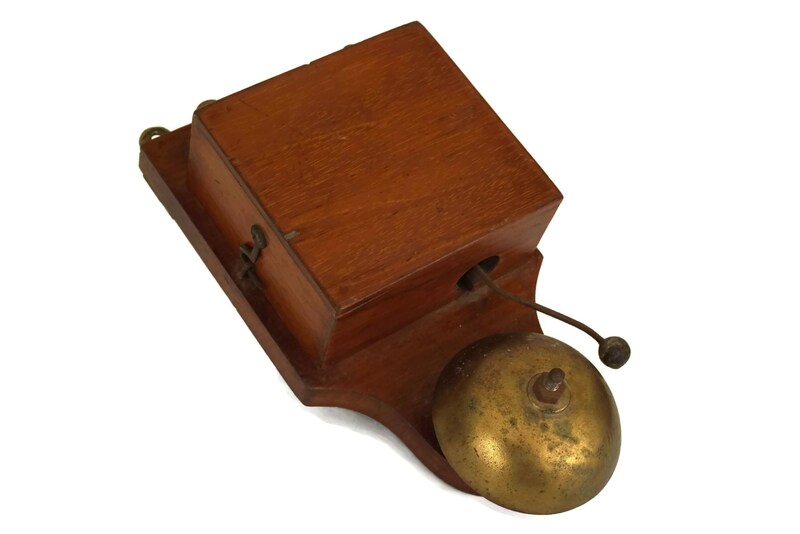 A French antique electric doorbell dating from the early 1900's. 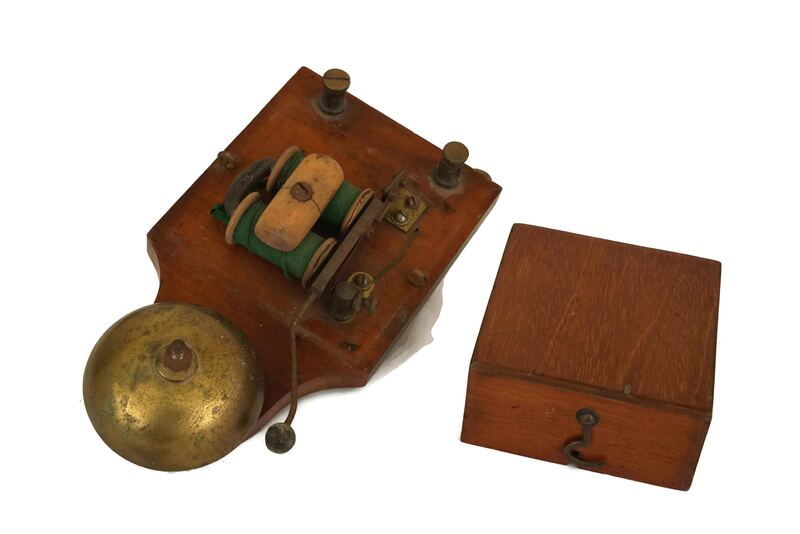 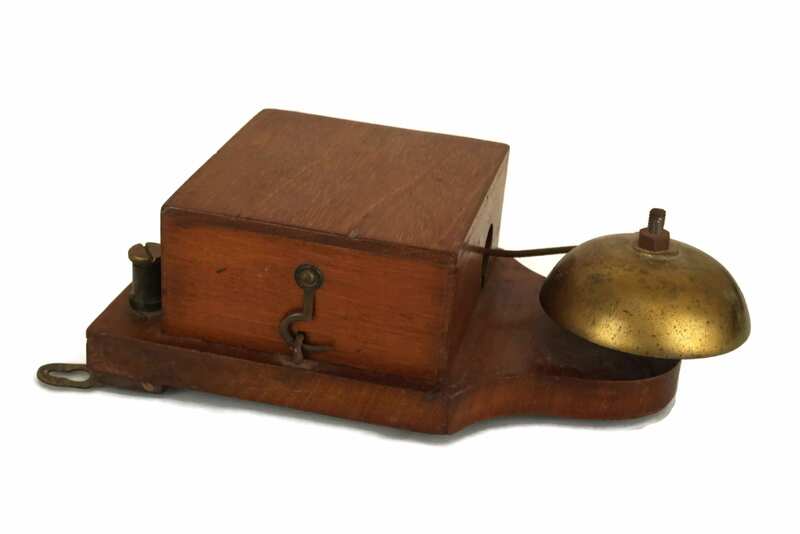 It features a wood case and mount with a domed brass gong bell with striker. 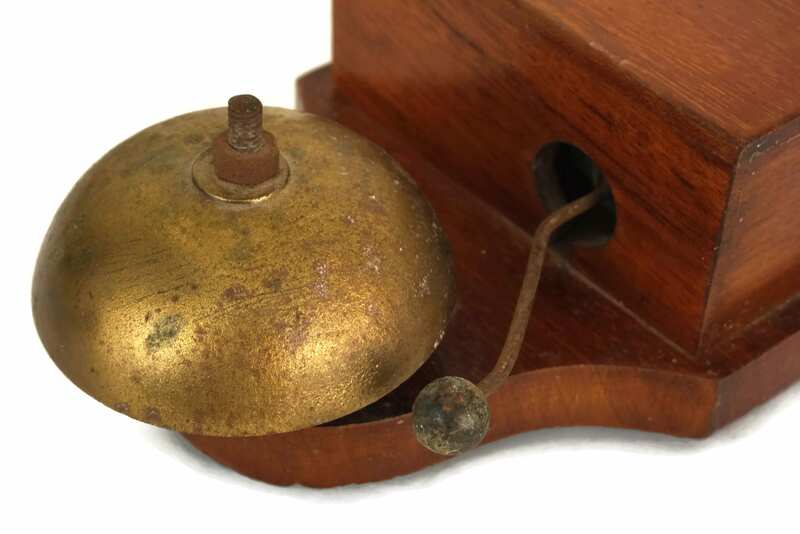 The service bell has a removable cover and two wall hanging rings on the reverse side. 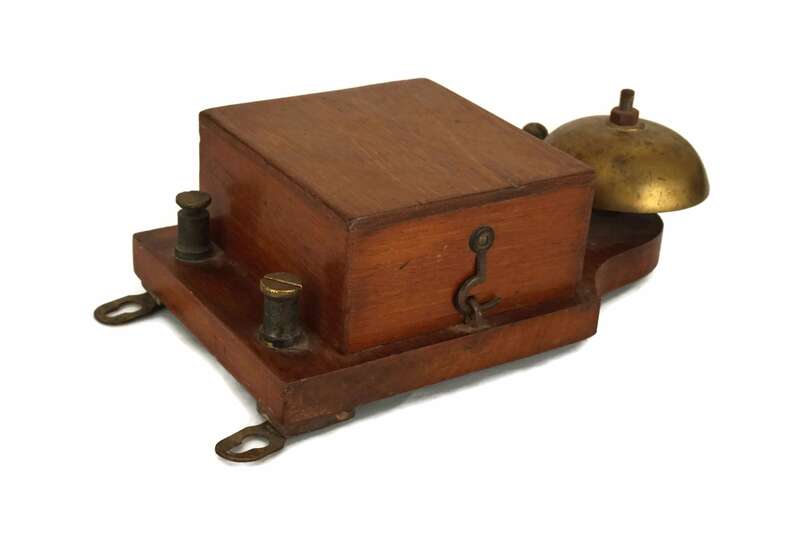 The bell has its original coils and simple electrical circuit. 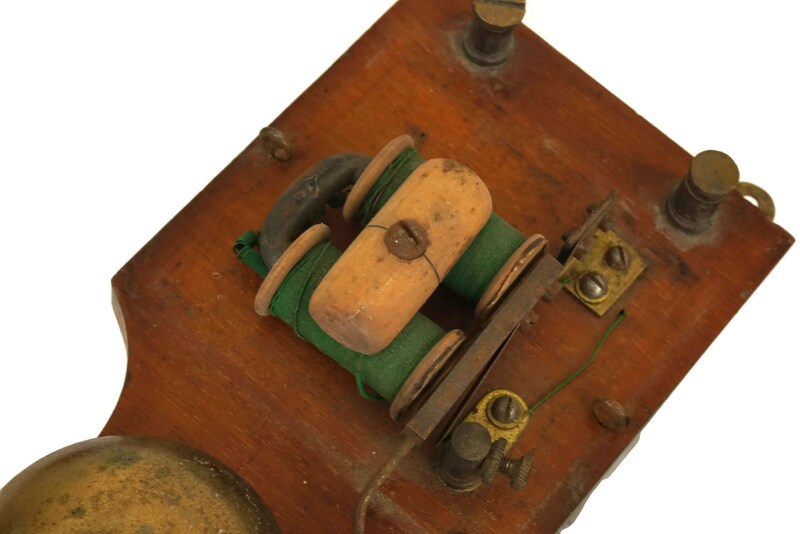 These are in their original condition and have not been tested. 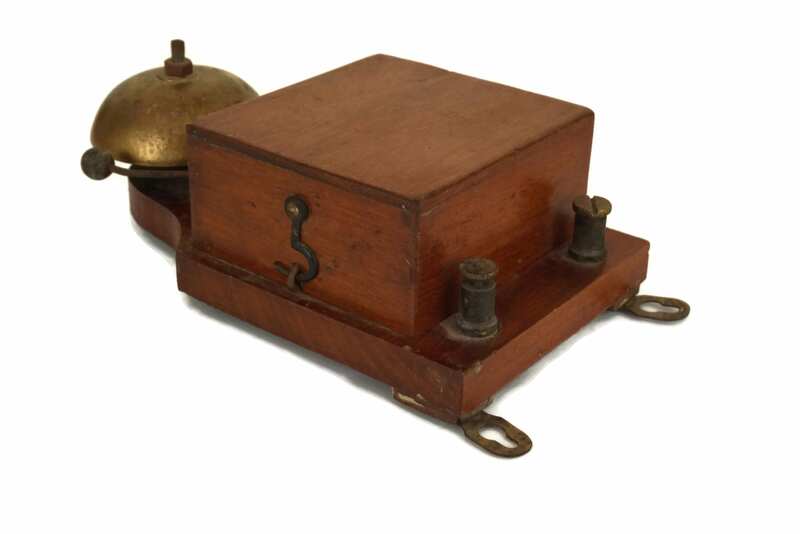 (18 cm x 10 cm x 5 cm). 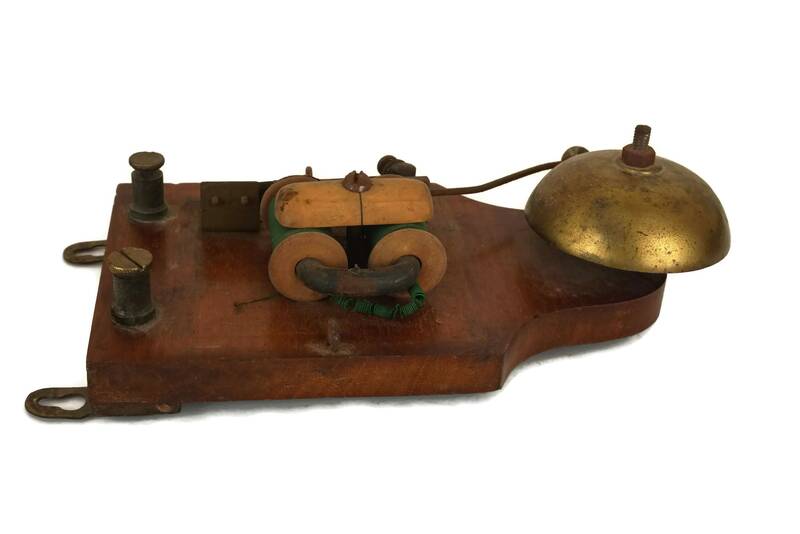 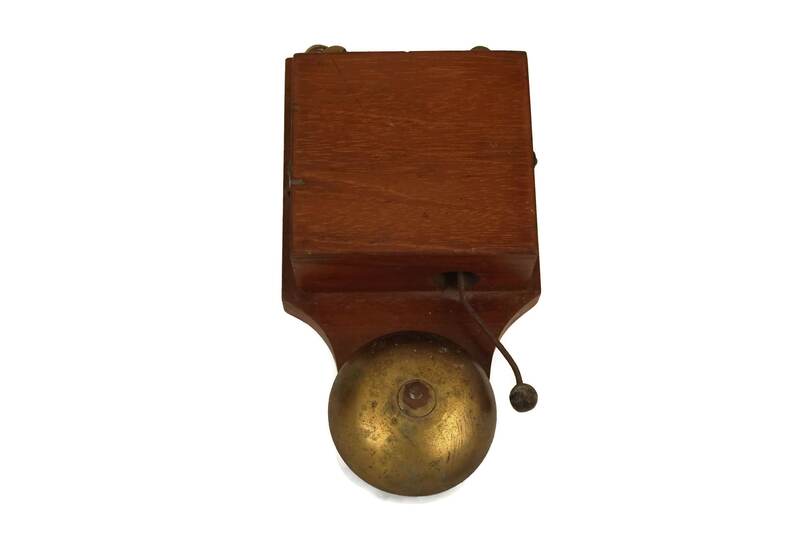 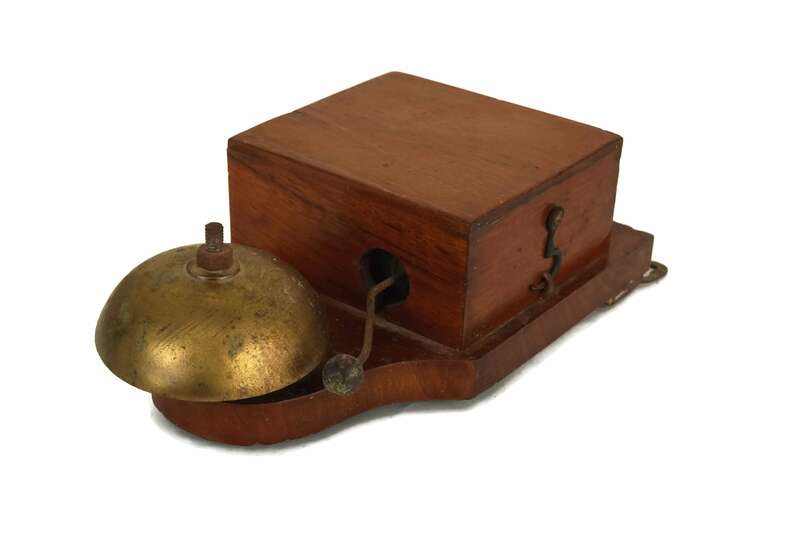 The antique wooden bell buzzer is in very good condition with some signs of age and wear.